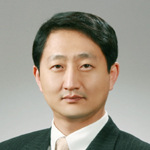 Professor Ahn is a professor of international trade law and policy at the Graduate School of International Studies (GSIS) and adjunct professor at the law school at Seoul National University. He currently works as director of the Center for International Commerce and Finance in the GSIS and is listed in the panel rosters for the WTO and the Korea-EU FTA. Professor Ahn has advised several developing-country governments, international organizations, and various Korean ministries on trade law and policy issues, including WTO disputes, trade negotiations, and trade policy. Professor Ahn holds a Ph.D. in economics and a J.D. from the University of Michigan.